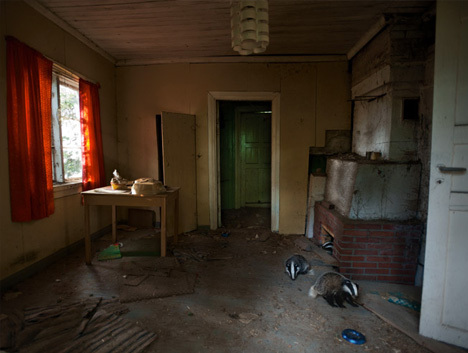 These interior photos by Kai Fagerström depict wild forest inhabitants who have made derelict human-owned dwellings their own – domestic portraits-at-home with a undomesticated twist. 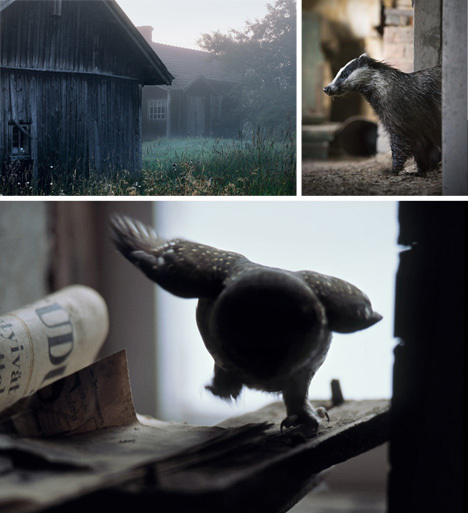 An abandoned series of small shacks and quaint cottages in Finland, slowly reclaimed by nature, show hints of slowly-invading of plant life, but the even faster introduction of woodland animals including squirrels, foxes, owls and more. 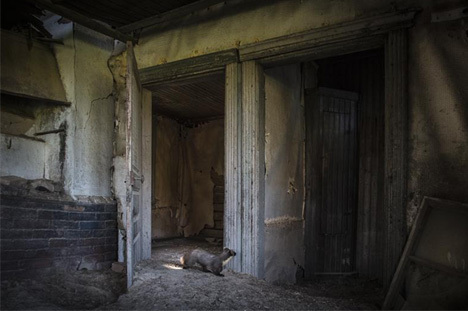 This surprising variety of crafty creatures have adopted and reshaped the existing spaces to suit their own needs, tunneling through vents and fireplaces, nesting and resting between walls and below floors. 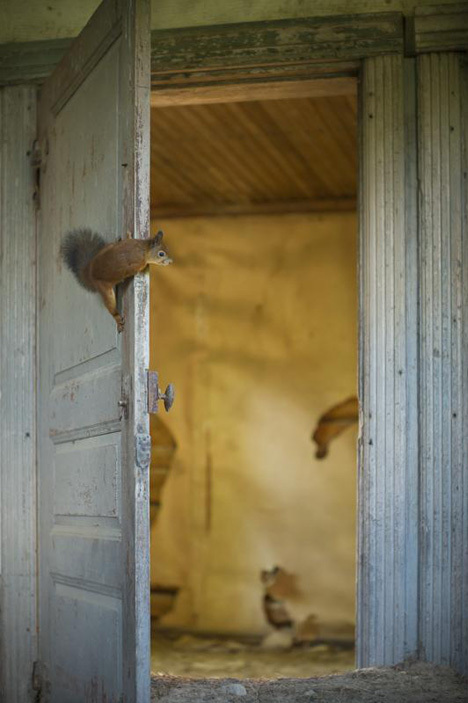 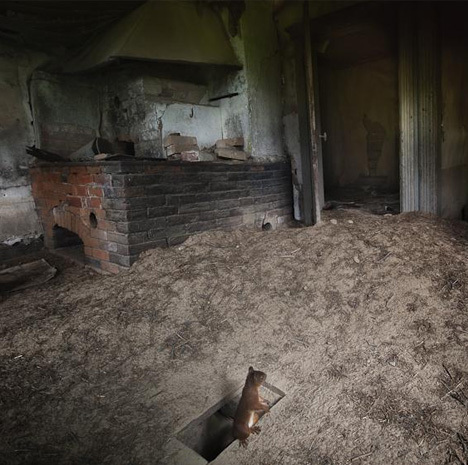 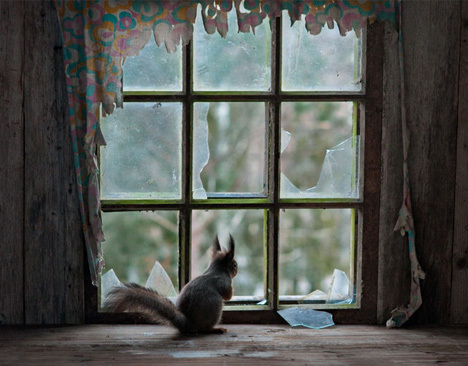 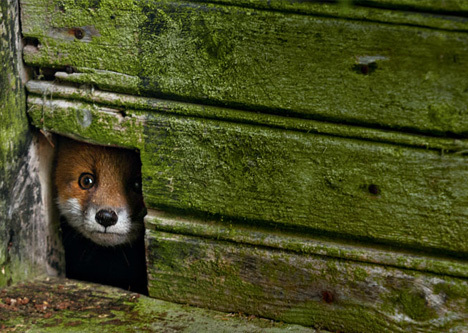 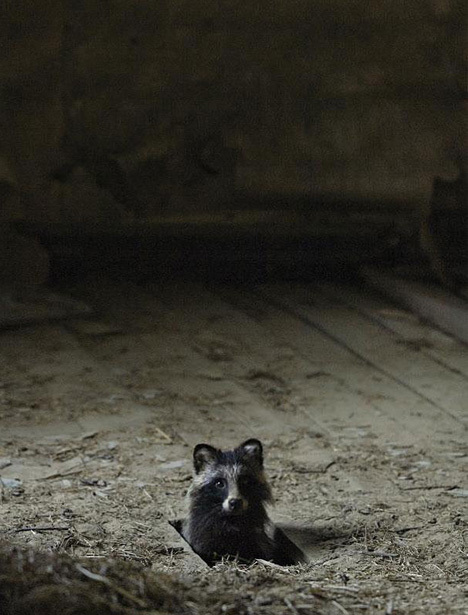 Though this photography project started with a few quick shots in a set of cabins in the woods near the photographer’s summer home, the deserted spaces have turned out to be so rich in potential wildlife portraits that the results now populate an entire book of images (The House in the Woods).